My Skin Care Routine, Simple! Today I am going to talk to you about my skin care routine that is really, really Simple and affordable. I believe that you don’t have to spend a lot of money to have a good skin or a good skin care routine. 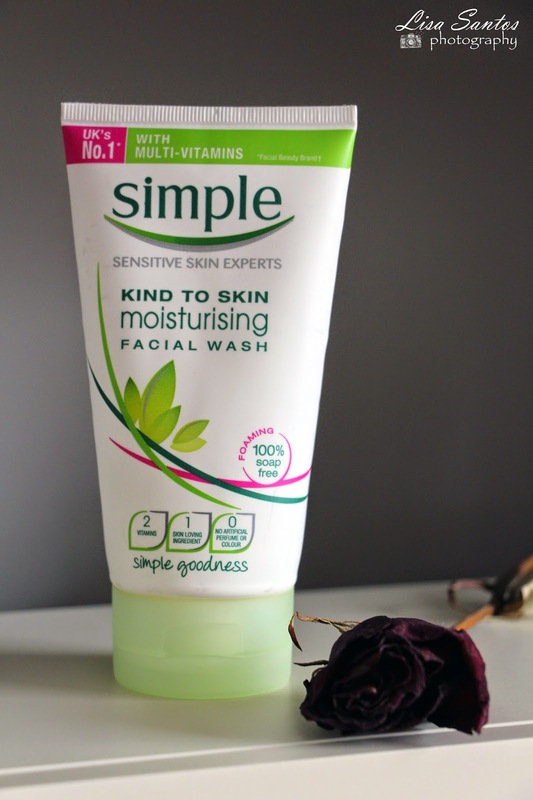 There are some great high street skin care products that work amazing and I am going to talk to you about the one that I am loving for quite a long time: Simple, Sensitive Skin Experts. Since I came to the UK I tried to find the perfect skin care products for me as the one I was using in Portugal didn’t exist here. So while I was walking around boots I found Simple. One brand that maybe most of you know but I din’t even heard of it at that time. So I decided to give it a try mostly because I found that the price was really affordable and the name was catchy. So I bought the facial toner and the moisturiser to try it. I really liked it and a couple of days after I bought the Facial Wash and the Facial Scrub. There you go, my skin care routine is complete. So first of all I must admit that I remove makeup with facial wipes. I know, bad bad bad. BUT..here is where Simple comes in and does the magic. Every time I remove my makeup with facial wipes, straight after I wash my face with the one and only Kind to Skin Moisturisin Facial Wash. I use this one every day (or almost.. some days I am just too lazy. Remove my make up with wipes and bed, here I go) and it really cleans every little thing out of my face. It is amazing and it works so so good! 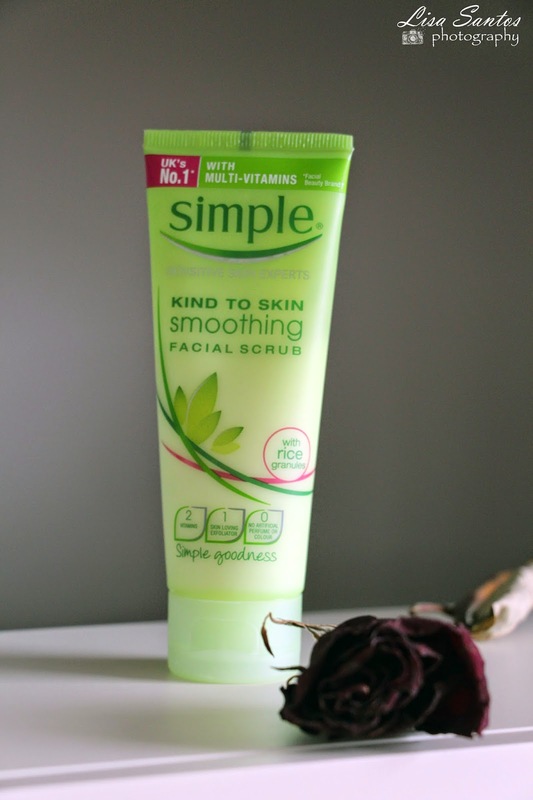 Then, when it is time, I exfoliate my face with the Kind to Skin Smoothing Facial Scrub. I only do this once/twice a week and yes, I do it after washing my face. I think that is the way that makes sense for me. This little friend removes all the dead skin cells and give a natural glow to my skin, I can really tell the difference after exfoliating with this baby! After that I will go and grab my Kind to Skin Soothing Facial Tone and a couple of cotton wool and cleanse my skin with the most refreshed toner that I have ever tried. Yes, this it the one! I am honest with you: you can really tell that your skin is more clarified and refreshed after applying this. I love this one. As you can tell, it is almost gone! I need to repurchase this one. 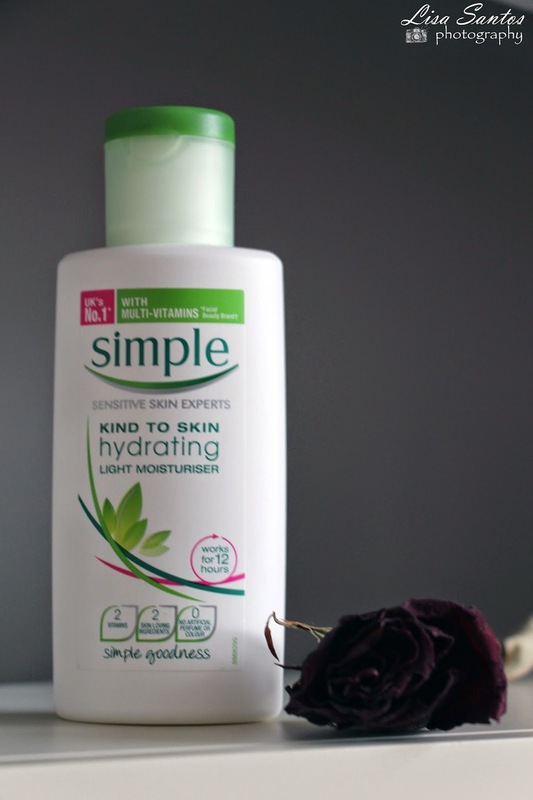 Last but not least, I moisturise my face with the one and only Kind to Skin Hydrating Light Moisturiser. And I will be honest with you, again. This thing really works. It moisturises my skin so nicely but… I don’t like the smell. It is a bit odd and even my boyfriend sometimes tells me that my face smells different. It is not that is smells bad but.. it is not nice either. Apart from that, it does is job amazingly. I can’t complain about that. 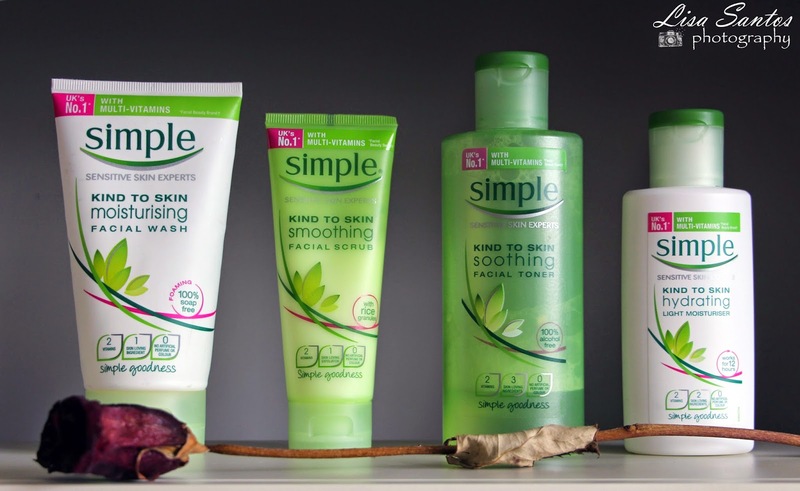 And here you go: my complete, simple and affordable skin care routine. 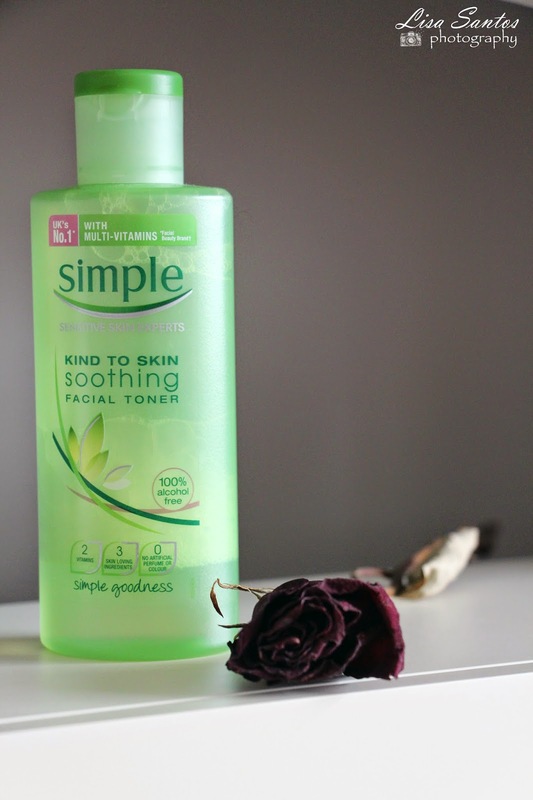 I usually do all of this at the end of the day (apart from the Facial Scrub that I only do once or twice a week) and in the morning before applying my makeup I always cleanse my face with the Facial Toner and then moisturise. All of this only for £15,27 !